I am kind of torn about this one. I just heard that local watering hole Wonderland is closing, to be purchased by YUM! 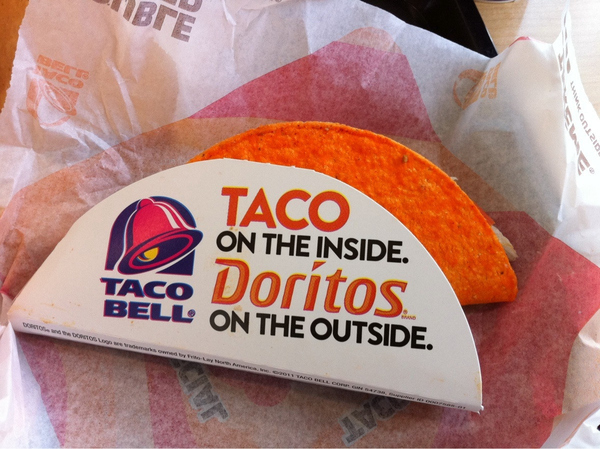 Brands, the owners of Taco Bell, and a Taco Bell will be opening in its place. Now I love Wonderland, but I also love the Crunchwrap Supreme. And the Wonderland folks also own Looking Glass, so at least they are still in business. Plus you can always go to Ruby Tuesday at 14th and Monroe, it's got a pretty similar atmosphere and vibe to Wonderland. I guess this is the trend, (delicious) chains coming to replace local stuff. I mean all local business is kind of underutilized anyway, they don't have the purchasing or marketing power of the big national brands who can charge very little for good stuff like the Doritos Locos Tacos. What's odd about this, and I don't have any more information, is that the old Wonderland space is two story, but most Taco Bells aren't. Maybe that means they're going to make it a combination Pizza Hut and Taco Bell, or even the beloved KenTacoHut with KFC, Taco Bell and Pizza Hut under one roof. We can only be so lucky. Thought you April Fooled us but you didn't! I live down the street and am torn on whether I wish this were true or not. yay! less hipsters!! oh... darn.. it was a joke. These April Fools posts are hilarious! It took me a while before I figured out the Disney @ DCUSA post. Disney tourists are really the only thing missing from Columbia Heights. Good one ... I almost had a stroke when I read this. Viva la Wonderland!! Son of a gun! I believed this until I mentioned it, and it sounded too outrageous to be true.